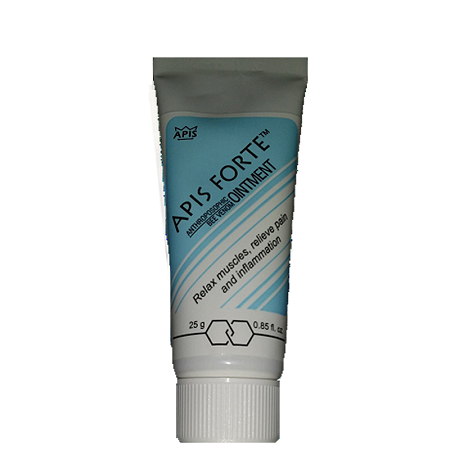 The Apis Forte is a new Bee Venom Ointment that is less potent in comparison to the VeneX Ointment. Works well for minor aches, arthritis, sprains and pulled muscles. This blend of apitoxin and essential oils seems to help my arthrithc thumb saddle joint better than prescription medicines do. I have used both bee Venom ointments when I had Lyme and they were both very helpful! I would use one or the other but not both at the same time. I love this product! It brings a warmth and glow to my skin, and I have received many compliments for "glowing" and youthful looking skin (I am 62). I am thankful to the bees and to the dancing bee acres people who provide this wonderful gift. I truly believe in Apitherapy for treating many things and think the Apis Forte cream is better than most topical pain relievers I have found.